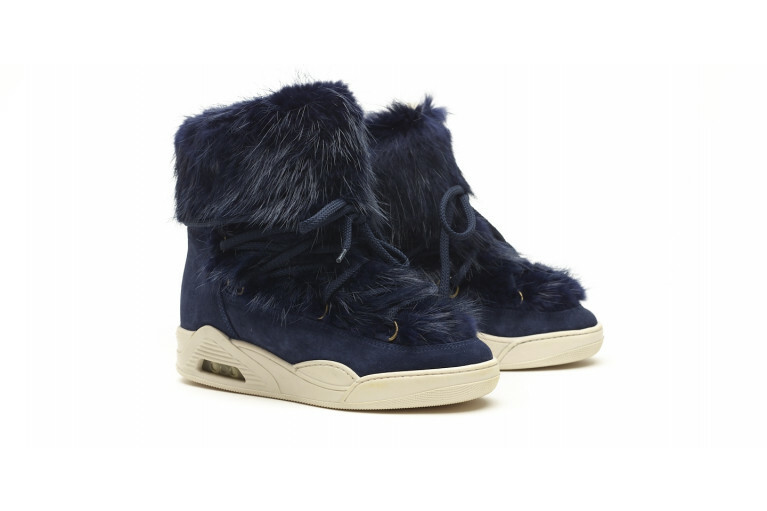 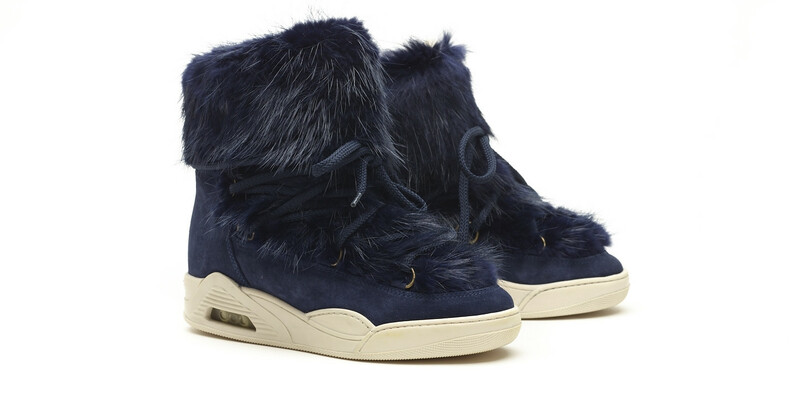 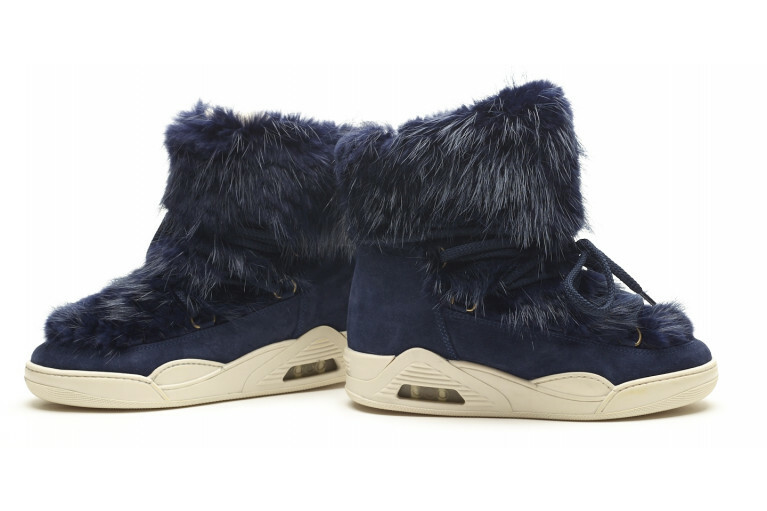 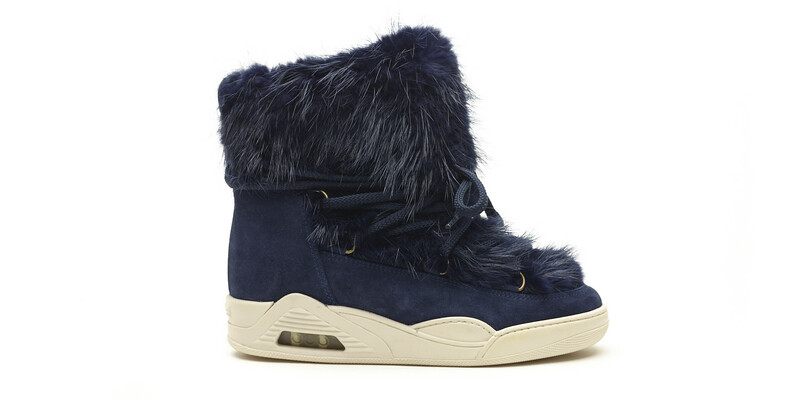 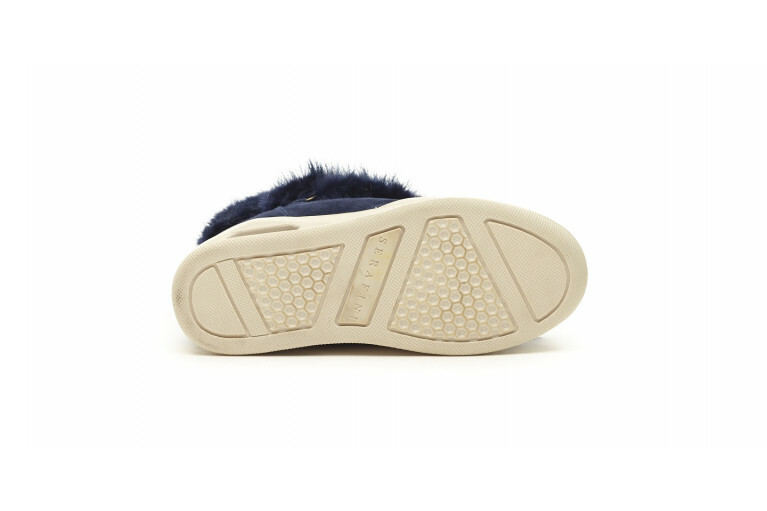 Comfort and style in the winter are a given, thanks to this blue fur version of MOON. 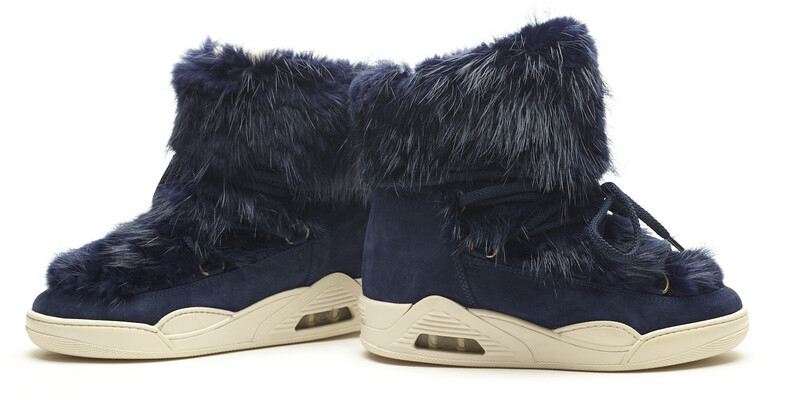 The design of snow boots, embellished by a soft blue natural fur, and a shearling lining that gives a perfect sensation of warmth to your feet. 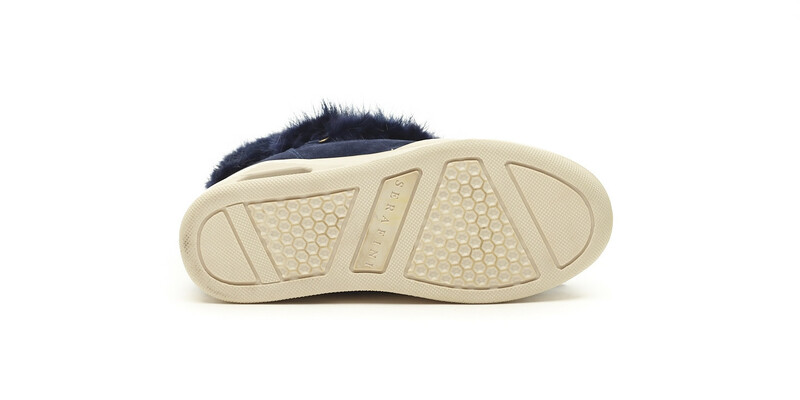 In addition, the insole gives you a few cm more of glamour.